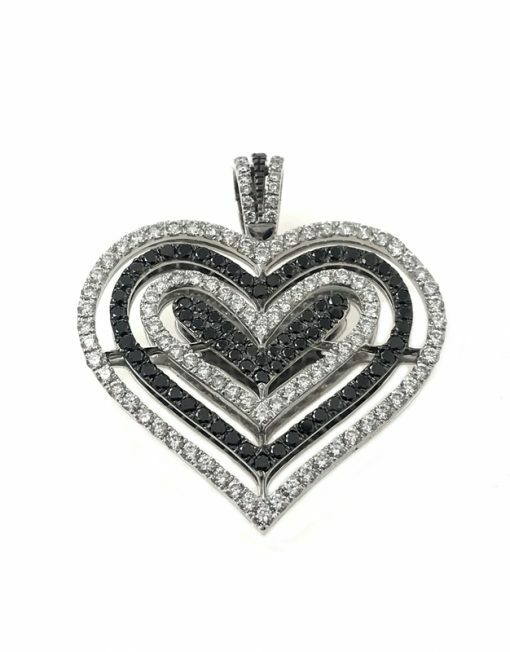 This striking Theo Fennell 18k White Gold Diamond ‘Mirage’ Heart Pendant is designed with alternating open hearts with black diamonds and white diamonds. There are 80 black diamonds with an approximate total weight of 0.5ct, and 104 white diamonds with an approximate weight of .75, G colour and VS clarity. 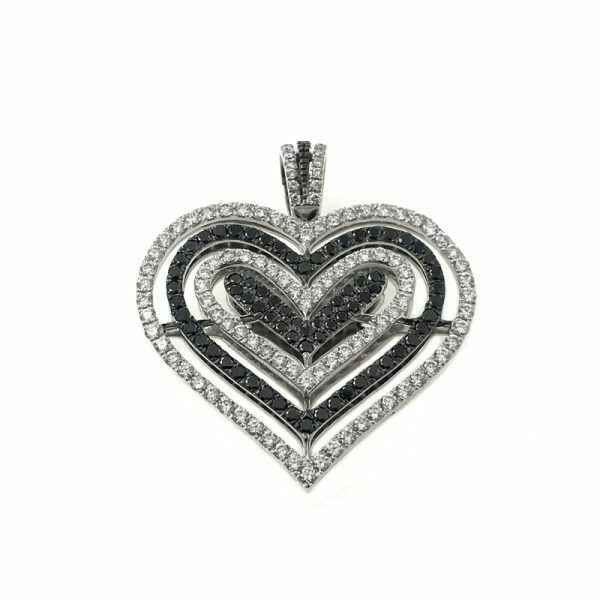 The pendant features a loop bail with black and white round brilliant cut diamonds in a pave setting. The pendant has a gross weight of 12.46 grams. Length including bale 41mm. Width 37mm. It comes with an unbranded presentation box. The 18k double strand white gold chain 18″ (unbranded) can be purchased at extra cost.